Brussels is willing to scrap tariffs on all industrial products, including cars, in its trade talks with the United States, EU trade chief Cecilia Malmström said Thursday. “We said that we are ready from the EU side to go to zero tariffs on all industrial goods, of course if the U.S. does the same, so it would be on a reciprocal basis,” Malmström told the European Parliament’s trade committee. 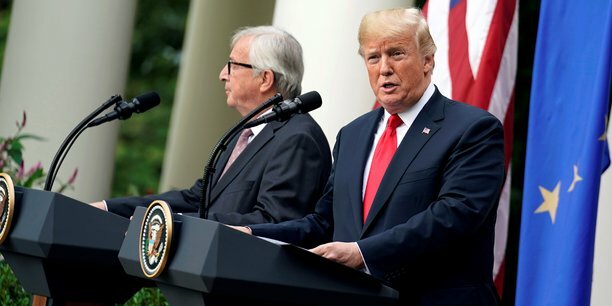 Brussels and Washington are holding preparatory trade talks to define the scope of a potential future agreement. During a first meeting in Washington last week, an EU proposal for including cars in the discussions was rejected by the U.S., POLITICO reported Thursday. The EU’s car tariff of 10 percent is higher than the general U.S. auto tariff of 2.5 percent, but America imposes a 25 percent duty on light trucks and pickups. “Agriculture would not be in the agreement, nor public procurement as it looks to today,” she said.